Do you get our emails? If not, you are really missing out because you missed this exciting announcement! 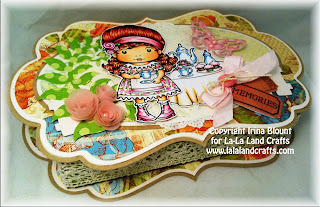 Can you believe that La-La Land Crafts beloved owner will be our guest teacher here at Scrap Happy? Not only is she here for a day, but for the WHOLE cotton-pickin' weekend! Mark your calendars for Saturday, October 20th & Sunday, October 21st! It will be a weekend full of creativity, coloring, and all out FUN. You can sign up HERE but you had better sign up fast, this IS expected to sell out and sell out quickly! The cost for the entire weekend, four separate classes, is $225, that is a savings of $35! Beginning October 1st, if there are spaces available, we will open up registration for individual classes. Below you will find all the information and items needed for each class. Please bring your Copic Markers for your personal use at the Workshop. Just in time for Holidays! We will make an Altered Canvas in Winter/Christmas theme in this class featuring NEW stamps and dies from La-La Land Crafts. This canvas will make a great keepsake decoration piece that you can either hang on the wall or display it standing. Make one for yourself or as a gift for someone special. All other supplies will be provided. In this class we will make three gorgeous cards for different occasions in various styles and designs. 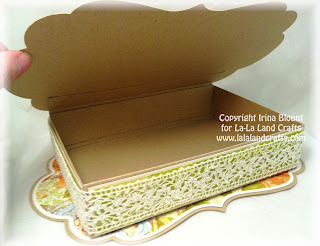 These cards are finished inside and out and feature stamps and dies from La-La Land Crafts. In this class we will make three different boxes in various styles and designs - a Trinket Box, a Milk Carton Box and a Gift Box. These projects feature stamps and dies from La–La Land Crafts. We are so excited and hope to see you ALL there.